Directions: North on Star Road – left on Floating Feather, right on Meadow Hills, right on Streamview, left on Water Heights. Featuring a smaller square footage home with High End Home amenities, including Designer Island Kitchen with oversize Dining – Appliance Pantry and open Great Room concept with Beamed Ceilings and full Masonry Wall Fireplace! Oversize Deluxe Spa Master Suite and for the Hobbyist – Camper or Mechanic, a 50’ deep Garage-ma-hall 4 car + RV Bay -our largest RV bay to date! 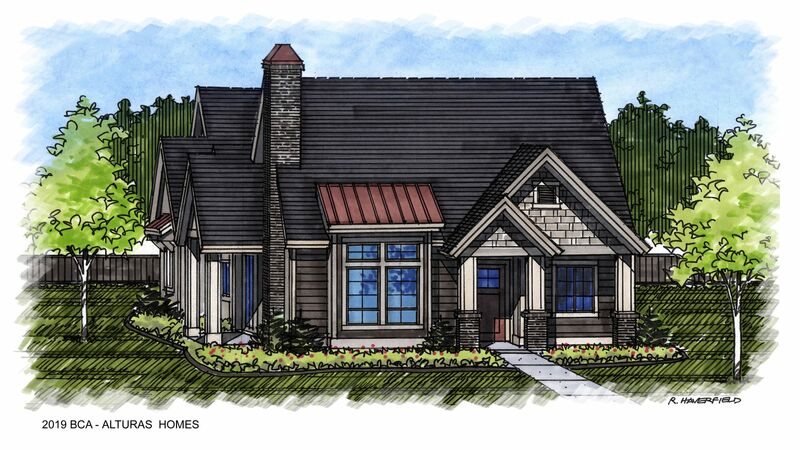 The Alexander features formal dining and a large great room showcasing a double-sided fireplace connected to the covered back patio retreat. Kitchen features granite countertops, a large island, and both a walk-in and butler’s pantry. The first-floor master suite offers dual vanities, soaking tub, walk-in shower, and expansive closet. Upstairs you’ll find a bonus room with 3 additional bedrooms and 2 bathrooms. Enjoy the RV garage for toy storage. Visit beautiful Heron River in Star! The Albany by Berkeley Building Co. is a West Indies inspiration, seamlessly blending into its waterfront setting and taking advantage of the picturesque view from every angle. Rich woods, vaulted ceilings with beams and luxe textures throughout enhance the unparalleled indoor/outdoor living design. You will marvel at your outdoor extended living space, complete with outdoor kitchen and accessible connectivity from the master, kitchen pass-through, dining area and bonus room. All in the beautiful Rivershore community at Heron River. Directions: off Floating Feather, west of Linder Rd. “The Beeches” is a patio home by Mallon Homes is warm & inviting with lavish, well-appointed features you have come to expect from Mallon’s. Master bathroom is spa like, custom cabinets, Quartz/Granite, porcelain tile, roll in shower. Gourmet kitchen high end appliances huge walk-in pantry, Great room wall boasts uniquely designed stone fireplace and a dramatic window design allows natural light flowing throughout the home, opens to a private patio/ waterfront beach perfect for entertaining or private romantic evening. Welcome to “The Urban Oasis” where luxury water front living meets Industrial Modern. This Stunning home features brick and steal accents, with abundant windows and natural light to enjoy your beachfront views inside or outside on your private paver patio. This Industrial Modern home is sure to impress with its variety of colors and textures coupled with high-quality finishes as well as comfort in quality design and layout. Award-winning Sherburne-Marrs presents The Preston II of Lakeside Retreats, an airy, spacious 4-bedroom haven situated on a tranquil pond in beautiful Legacy. 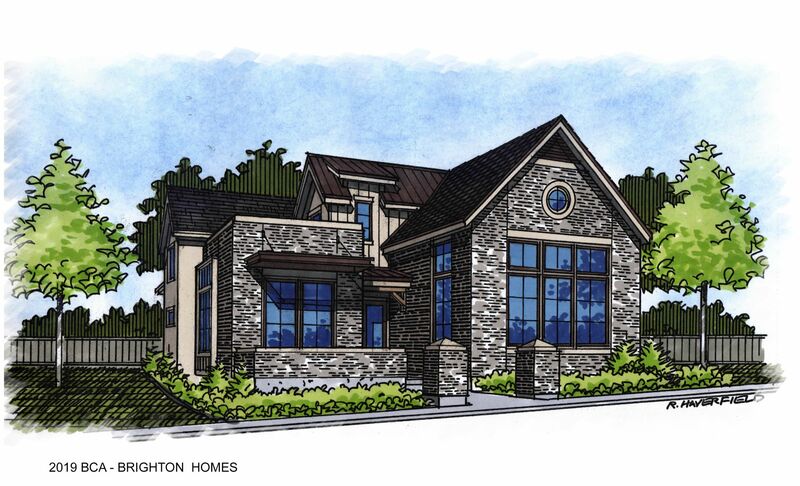 Preston’s 125 windows and distinctive upper lanai and balcony capture its stunning mountain and water views. Exquisite finishes create a relaxed sanctuary featuring two expansive living areas and private indoor/outdoor lanai. Amenities abound, including gourmet double island kitchen with Gaggenau appliances, wine bar, awe inspiring master suite with calming retreat. 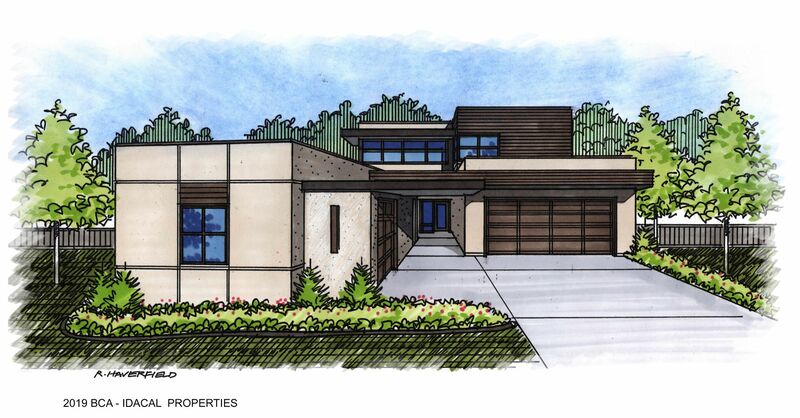 The “Tegan Troy” by James Clyde Homes—- Driven by simplicity and function, this contemporary home makes a strong statement with its asymmetrical design including bold, geometric shapes and a connection to nature with its natural materials such as stone and wood accents. This home offers clean lines and a minimalistic style including an open- concept floor plan to offer plenty of space to entertain guests as well as spend quality family time. Large windows welcome natural light while offering panoramic views of the outdoors. 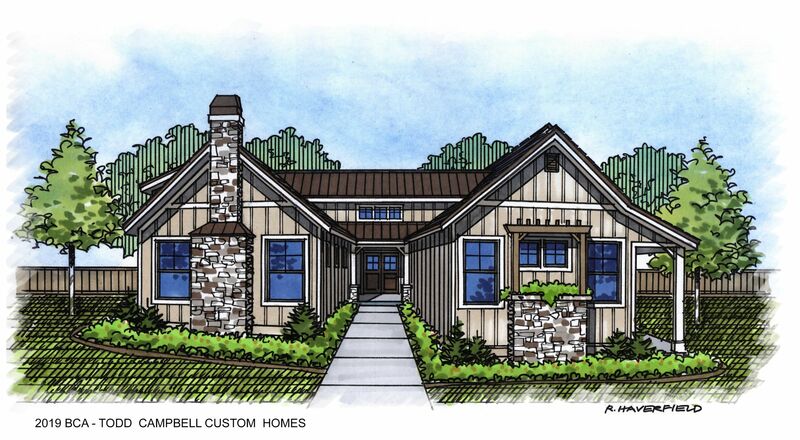 The Clearwater is a three bedroom, three bath, single-level home with office and bonus room. This home is light and airy with casual textural elements that feel warm and inviting. The kitchen features a butler’s pantry, two ovens, two dishwashers, farmhouse sink, and built-in refrigerator. The sliding glass doors from the bonus and great room create an indoor/outdoor living space perfect for entertaining. High-end finishes and details set this home apart. 4574 W Highland Falls Dr. 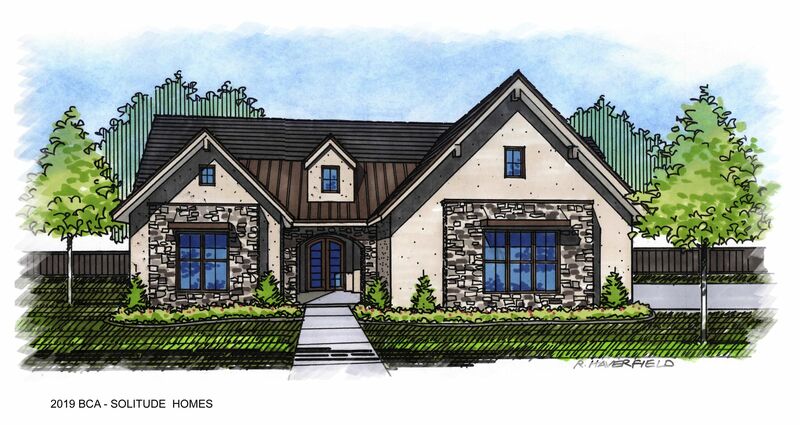 Award-winning Sherburne-Marrs presents The Kimberly at SpurWing Heights, an exciting spin on their most popular design. From your first step into the glass walled entry, you know this home is distinctive. Expansive windows open from the main living areas onto a cozy outdoor living retreat that provides something very precious these days…privacy. With a modern flair, open spaces, stunning fireplace, gourmet kitchen featuring Thermador Appliances, and many other exceptional finishes throughout, this home is a must see! Introducing the Melrose by Core Building Company. From the moment you walk through the outdoor breezeway into the front courtyard, this one feels like Home. Inside you’ll find a Gourmet Kitchen boasting Bosch appliances & a large center island perfect for entertaining! Private Master Suite featuring a spa-like bath & walk-in closet. 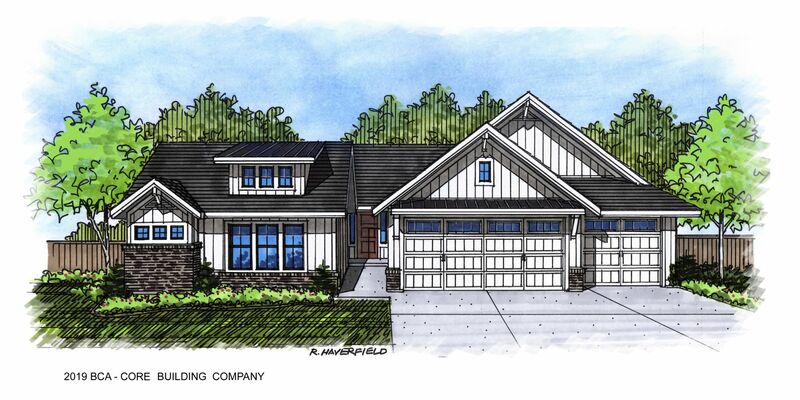 From the thoughtfully located office adjacent to the main level Bonus Room, to the traffic-free utility room and oversized garage, this one was designed with you in mind. “Welcome Home”. Directions: Off Chinden Rd, east of Black Cat Rd. We are excited for Meridian’s newest community, Olive Tree at SpurWing! This single level with large covered back patio backs to the first fairway of SpurWing golf course. Hardwood flooring, quartz, tile and granite throughout. Kitchen includes top of the line appliances by Thermador to include cooktop and double oven. Fourth bedroom could be used as an office/bonus. Olive Tree features low maintenance with the HOA covering all lawn care, irrigation and snow removal. “The Chicago” by RSI Construction, an urban, industrial farmhouse in Eagle’s newest maintenance free subdivision, Stillwater. Unique finishes in this home that creates quality and character. Exposed steel beams, brick walls and solid oak open riser stairs make for an urban loft feel. Outside living that is not to be missed! Two large separate covered patios with large slider doors combining both areas to the great room. Upstairs bonus room opens up to a roof top deck! Come see RSI’s latest contemporary “outside the box” design. Directions: From Eagle Rd, east on State St. to Edgewood, turn right headed south. “Modern Luxury & Innovation at its finest! The “Sinatra” is a breathtaking home designed by IdaCal properties in collaboration with Trey Hoff. Clean, crisp, geometric lines featuring unrivaled quality. Located in one of Eagle’s most prestigious waterfront communities. The great room, kitchen, and dining room are one large functional open space with stunning finishes that flow seamlessly out the back patio, offering spectacular views. 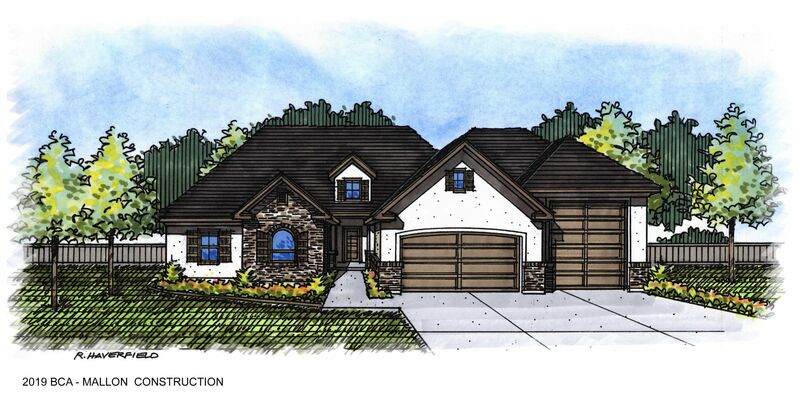 Legacy Homes proudly introduces their latest design – The Carlsbad. This unique design has a classic coastal exterior, unbelievable millwork detail, stylish black windows, and outdoor patios that are a must see. The home is located in Eagle’s Williamson River Ranch, has east facing mountain and water views, exquisite outdoor living, and top of the line finishes. We invite you to come home and live the Legacy! The Bella Vista is the perfect balance of old world quality construction and state of the art energy efficient building methods. As you walk through the home you can feel the pride of craftsmanship that Paradigm’s family of subcontractors put into every detail. We look forward to seeing you at the Parade of Homes this year. 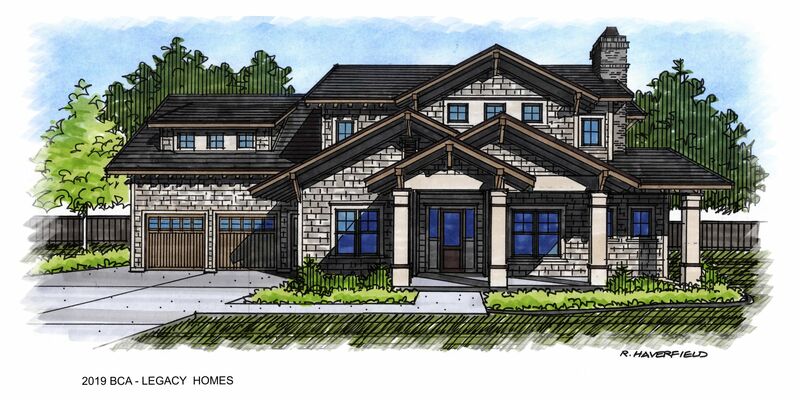 Legacy Homes proudly introduces their latest design – The Coronado. This unique design mixes classic craftsman features with new modern finishes. This is another must see from Legacy Homes. The home is located in Williamson River Ranch, has east facing mountain and water views, exquisite outdoor living, and top of the line finishes. We invite you to live the Legacy! 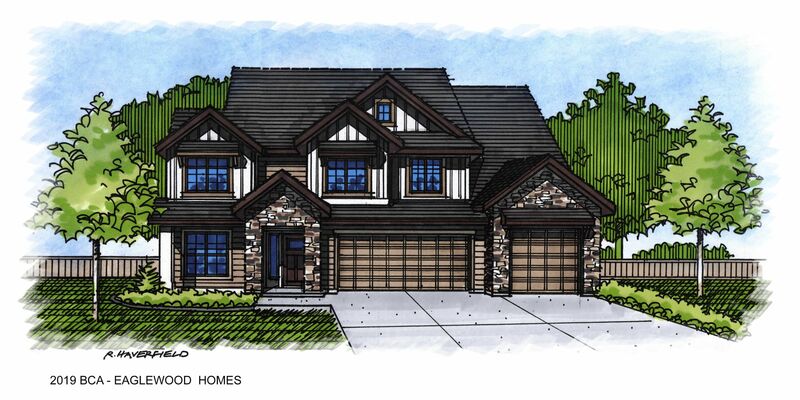 This exceptional executive home has all the sophistication you have come to expect from Syringa Construction of Idaho. The ‘LaFrance’ welcomes you into a journey through this fresh design, boasting floor to ceiling dining windows and an expansive slider that brings the outdoors in. Careful planning and design in this one of a kind home has resulted in all available space being fully utilized. The interior of the ‘LaFrance’ has a modern feel with the finishes and materials working together to create a warm and inviting atmosphere. Located in Lakemoor, within the desirable Eagle corridor, this home has greenbelt access and close proximity to limitless amenities. Ninety Degree Construction is proud to present the “Yukon”. This modern rustic single level is a MUST SEE! Located in one of Meridians premier communities, The Yukon boast cathedral inspired ceilings, charming rustic warmth throughout, a gourmet kitchen for the cooking enthusiast, luxury master suite with abundant natural light, outdoor living space and everything else you’ve come to expect from Ninety Degree Construction. Timeless detail and master craftsmanship bring this HOME, home to you! Directions: off McMillan, west of Ten Mile Rd. Come tour the Blue Rock and find out why a smaller floor plan is the answer to smart design and functionality. Packed with all the power of smart technology, carefully selected finishes, and community amenities such as a club house, pool, and park – not to mention the foothills beyond. With a tidy square footage, find out why the Blue Rock is everything it needs to be and nothing more…and how soon you can move in! 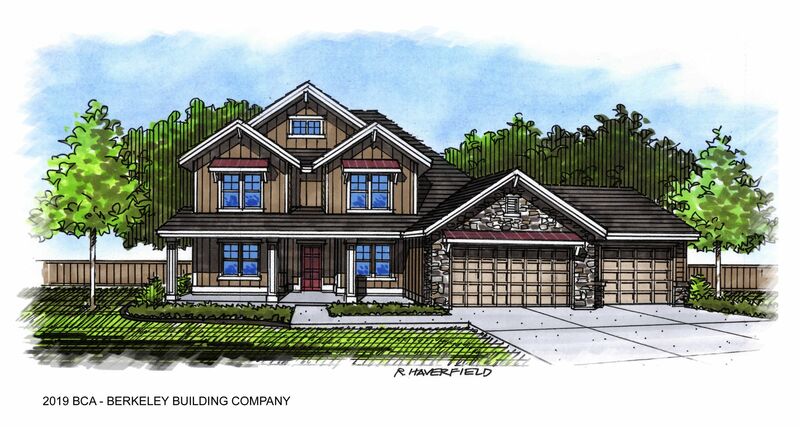 Welcome home to the “Rainier” as it is everything you have come to expect from Eaglewood Homes. At 3,000 square feet there is enough room to spread out, but with thoughtful design and selections, the home is warm and inviting. The Rainier has a two-story living area filled with natural light, a gourmet kitchen, main floor master suite, and a large outdoor patio that can host the biggest of family gatherings. Directions: from Chinden, South on Meridian Rd and East on Rio Vista Way. Directions: SW corner of Linder and Ustick Rd. Maddyn Homes invites you to experience intentional living with The Colston. With charming front and back patios, vaulted ceilings, large windows, extensive trim and ship-lap, and attention to every detail, this Modern Farm design, nestled in a quaint farm-to-table community is sure to impress. A fresh approach to home building, this high performance, full solar, smart home provides comfort and value. Experience the difference at Maddyn Village, neighboring Settlers Park, and minutes from the Village. 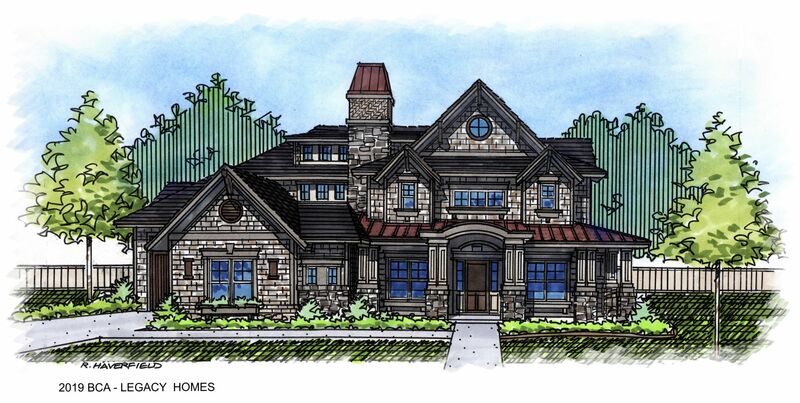 The “Aspen” by L2 Construction will check every box on your list. This single-level masterpiece doesn’t waste an inch of its 2287 sq ft. It’s smart, it’s unique and its everything you’ve come to expect from the team at L2. 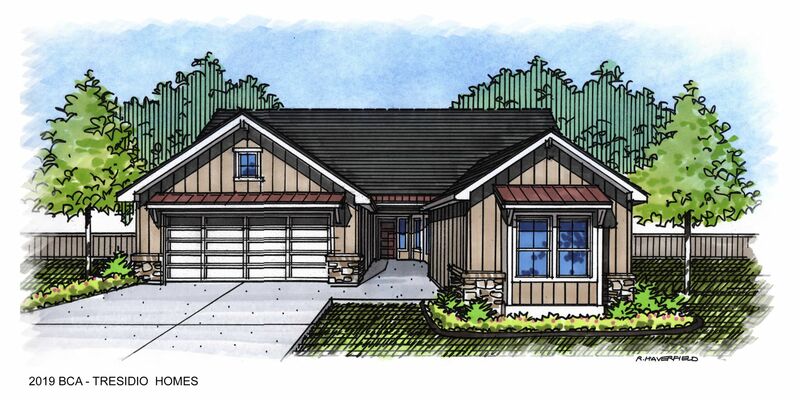 The “Aspen” is not just another 3 bed 2 bath floorplan, it sets the standard for modern living in the Treasure Valley. One step inside, and you won’t want to leave. Directions: Off Hubbard, east of Meridian Rd. The Artesia is a hidden gem. The master suite is on the main level and features a walk-in shower, and oversized closet, and a private laundry room. Upstairs are three bedrooms, a bathroom, and a laundry room. The 4-car garage offers plenty of parking and storage space. The house is situated on a cul-de-sac close, backs up to a walking path, and is around the corner from the community pool. Moritz – single level attached patio home | Blackrock Homes. S. Meridian’s Luxury Gated Community offers a Low Maintenance Lifestyle. A gorgeous Sunroom with many windows brightens the entire living space! See how these rich wood tones & brilliant stone surfaces will complement any décor, plus vaults, fireplace, tiled shower walls & more! Ownership includes access to a stunning 2,600 sf Social House (clubhouse). HOA provides landscape maintenance, snow removal, long-term exterior repaint & roof replacement. 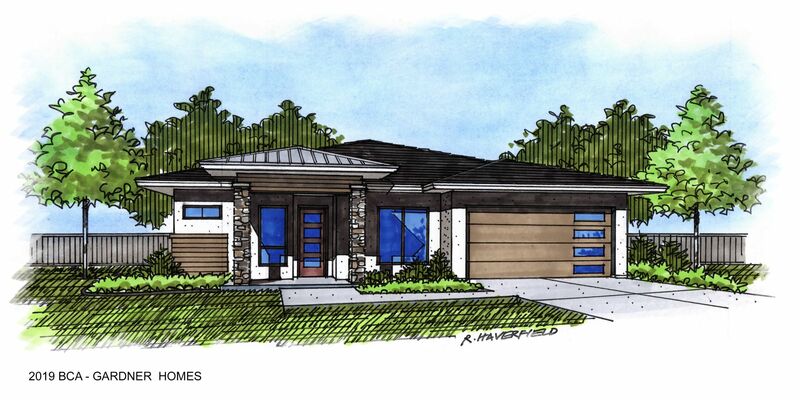 Zach Evans Construction presents the “Ellie Jo” in Movado Estates! Designed with a Desert Modern style – light and airy, paneled concrete interior/exterior features, authentic desert patterns in the tile work, rich paint and stain accents, and rustic modern lighting. Home layout is all new featuring 2694 SF on a single level that includes 3 bedrooms, 2.5 bathrooms, den, office, an additional 1245 SF insulated 4 car garage and a large back patio with mountain views. 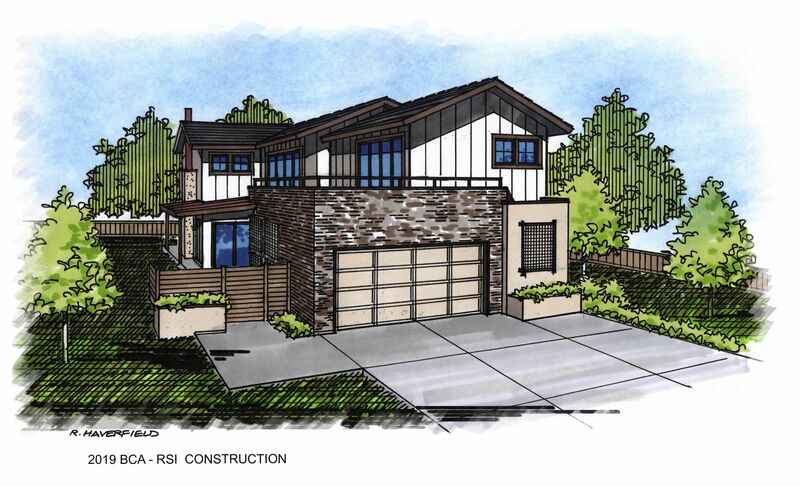 Introducing “The Riviera!” This home is a seamless blend of transitional contemporary design. Textures, color and graphic elements incorporate Mid Century Modern at just the right level. The space is amplified with high ceilings and lots of room for entertaining and family life. And…don’t miss the wet room styled master bath suite. Welcome Home! Directions: Eagle Road South, turn left on Taconic Drive, ½ mile south of Amity Road and another left on S. Stockenham Way. The Hillsdale Park entrance is located across from the Hillsdale Elementary School. The Calistoga by Berkeley Building Co. is a crisp, modern farmhouse with bright whites and deep charcoals that set the backdrop for a lifestyle design that was truly planned to spark the imagination. Purposefully placed reading landing, crafting/utility room with adorable Dutch door access, storefront playroom, extended outdoor entertaining, large yard and so much more…set in the highly-desired Hillsdale Creek Community. We can’t wait to share it with you. 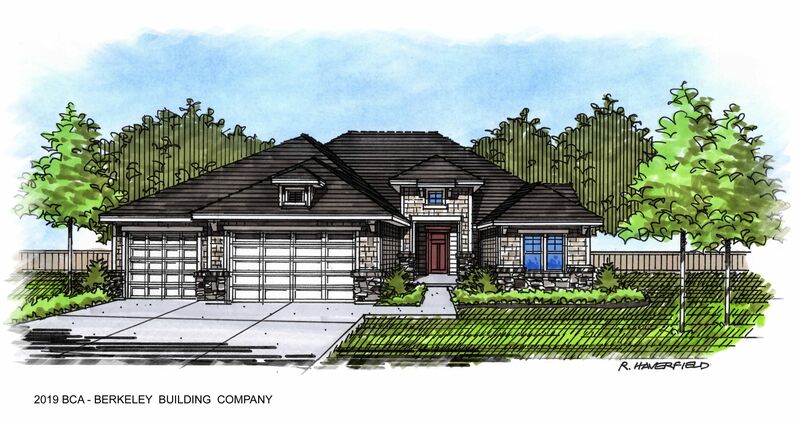 The Streamsong by Tresidio Homes is a sophisticated 3-bed, 2-bath, 1802 sq. ft. transitional style home with modern elements! Step into the grand entry that showcases a tray ceiling, breathtaking trim detail, designer chandelier and art niche! Enjoy a gourmet kitchen with SS appliances, quartz counters, beverage bar and custom cabinetry. Be entranced with an open concept created by the cathedral ceilings accented with floating beams. Gorgeous engineered hardwood throughout! A home worth seeing! Where tasteful creations are shared with family and friends. 9108 W Mirror Pond Dr. 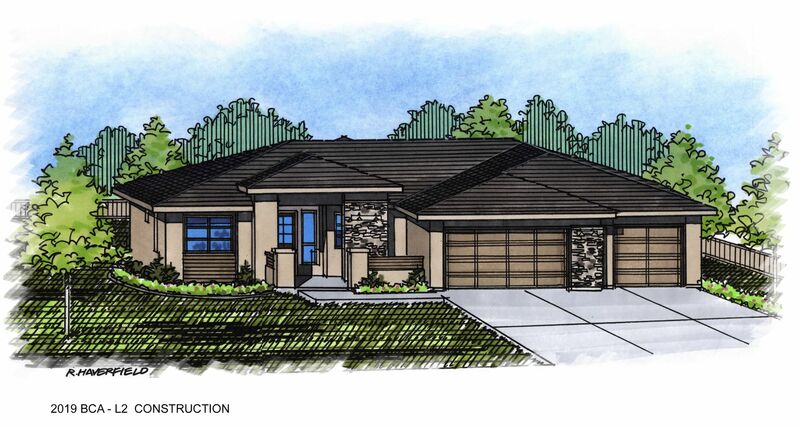 Directions: off Hwy 55 4 miles north of State St.
“The Adalaise” -Built in Boise’s most tranquil subdivision-Dry Creek Ranch and nestled against the peaceful foothills. Designed with accents of Modern French Farmhouse on half an acre. 4 bedrooms, 3 full baths, 11’ entry, vaulted ceilings, private guest wing, dining room, Thermadore Professional Appliance package, butler’s pantry, wet bar, hidden safe room, his & hers separate closets, extra-large pass-through master shower w/ 2 rain heads and picture windows of the panoramic views Idaho is known for. 9109 W Mirror Pond Dr. This Modern Farm House design will take your breath away around every corner. Solitude Homes has done it again, with an abundance of innovative and unique ceiling and wall accents. Don’t miss this opportunity to see the newest trends in Modern Farm House design. Inside and out you will find custom carpentry details and a variety of wood and textures. Other features include a large covered rear patio, main-level master, oversized media room & 4-car garage large enough for the RV or boat. 9146 W Sparks Lake Dr. Welcome to Trident Homes’ newest floor plan, The Traice. Located in the amazing Dry Creek Ranch subdivision. This transitional home blends a craftsman style with modern finishes. A well laid out single story, open floorplan features, 4 bedroom, 2 ½ bath, large kitchen, central laundry and elegant master suite. All that attached to a 1812 sqft garage featuring a 18’x50’ RV bay with a 14’ tall door. A must see! 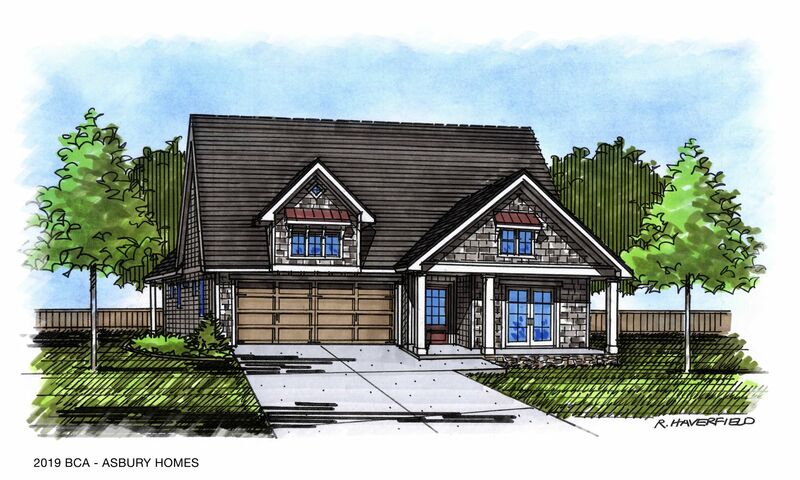 The Hayden is a thoughtfully designed three bed, three bath patio home with bonus room. The design is a modern take on classic craftsman styling of the past, built with the features and convenience for today’s market. With double ovens, a six-burner gas cooktop and built-in refrigerator this home is ready for entertaining. The double sliders in the dining and bonus room open onto the covered patio creating an exceptional indoor/outdoor space for gathering. Boise Foothills steps away. Grand room with a 19-foot vaulted ceiling. Foothills-facing patio. Instagram worthy rooftop deck with views of Bogus Basin. 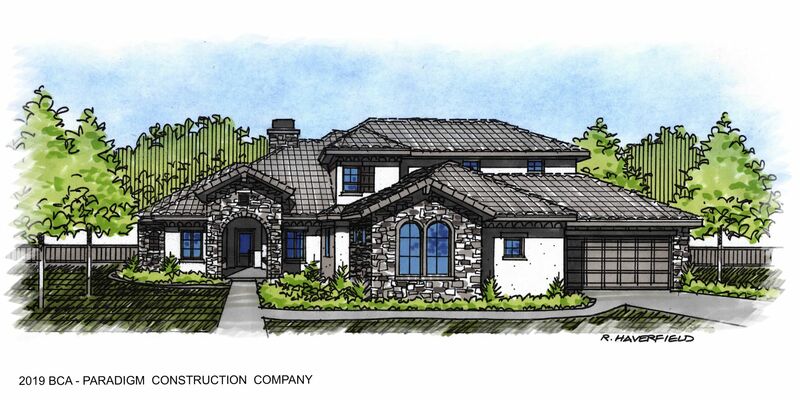 Brighton Homes challenges your perception again – a never-done-before, iconic Energy Star home in Cartwright Ranch. Inspired by Midwest industrial architecture, the Firestone is a perfect mix of modern farmhouse with an historical impression. This concept home goes all-in with luxury interior finishes, panoramic views and thoughtful functionality. Don’t skip this home! The Organic Glass Farmhouse is filled with natural light and designed for modern comfortable living. Your senses will be amazed at the offerings in this home. Tall vaulted ceilings, beams, large picture windows, brick and modern industrial characteristics give this home overflowing character. The exterior is designed offering overflowing living space that is very private and a true sanctuary for relaxation. The home is filled with custom features; no design detail has been overlooked in the creation of this classic farmhouse. Conner Construction presents this luxury Mountain Modern design featuring a lush park setting and views of the majestic foothills. Arranged on one level and accented by stained timber beams and vaulted ceilings, the detail in this home is unsurpassed. Connectivity from the indoors to several outdoor living spaces creates amazing flow for entertaining and daily living. Surrounding Crane Creek Golf Course, this home is nestled in Highlands Cove Subdivision, just moments from downtown Boise.